DE HAVILLAND was an extraordinary company, in particular the modest, dedicated leadership of its founder, Sir Geoffrey de Havilland, and his board. They treated everyone generously, regardless of position, and encouraged communication at all levels. 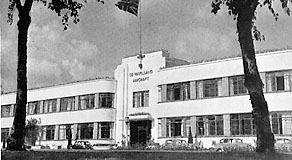 Where many companies welded their order books to the military, de Havilland believed strongly in the future of commercial aviation. They made their own decisions, sought their own customers, and didn’t wait for the government to tell them what to do. From the outset, they championed recreational flying, business and light transports, often creating new markets where none existed before. 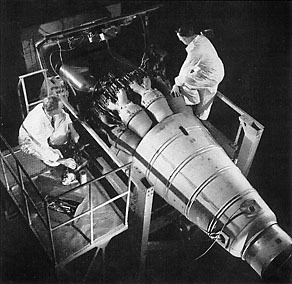 They earned a reputation for producing elegant, light-weight, aerodynamic designs with higher performance than seemed credible for the size of engine. This would prepare the ground for the record breaking DH-88 Comet, and the legendary Mosquito. In 1917, the DH4 became America’s first front-line aircraft; 4,000 were built under licence. 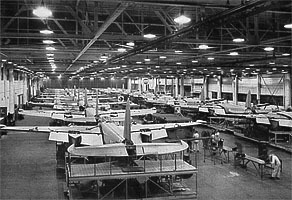 By 1928, de Havilland had their own factories in Canada and Australia. They gave the utmost importance to “circular selling”: the idea that superlative ownership experience generated loyalty in all directions, and through that, repeated orders. They set up a world-wide global service network using their own or franchised agents. Indeed, their own customers became their best salesmen. The Engine Division was run by Frank Halford, who had designed every DH engine since the original 4-cylinder Gipsy. Engines were supplied to other manufacturers, not just the ubiquitous Gypsy, but gas turbines to customers including Lockheed, Saab, Westland Helicopters and others. Research was at the absolute cutting edge of technology. The Gyron engine was the first jet engine designed specifically for supersonic flight, for the Hawker P.1121; and the Gyron Junior and Spectre rocket engines were designed the Saunders-Roe SR.177. Originals held by BAE SYSTEMS plc Heritage, Farnborough, reproduced with kind permission of BAE SYSTEMS plc. Any further use to be approved by BAE SYSTEMS. Not to be used for any restoration to flight purposes.